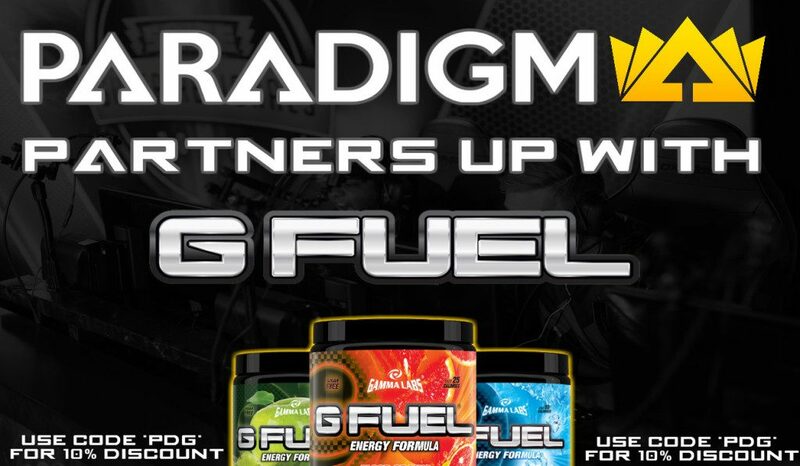 We are proud to announce that, as of today, we teamed-up with our first energy drink sponsor and you can even save 10% on every order with the code PDG! G FUEL, an energy drink unlike any other, was developed by a team of experts at Gamma Labs. It was balanced specifically for pro gamers, whose reaction time and mental focus mean the difference between being good or the best during a competition. Packed with a healthy mix of antioxidants, vitamins, amino acids and other nutrients, the drink decreases stress, enhances your focus, sharpens your reaction, boosts endurance and increases your overall energy. Available in tubs, packets and boxes, it is sugar- and gluten-free and only contains 25 calories. To top it all off, G FUEL comes in many delicious flavors, such as Watermelon, Blue Ice, Lemon Lime, Green Apple and many more! If you have a hard time picking a single flavor, the shop also lets you build your very own box. By purchasing any product on our partner’s website, you directly support PARADIGM and – as mentioned above – we are also offering you a 10% discount, by using the code PDG.